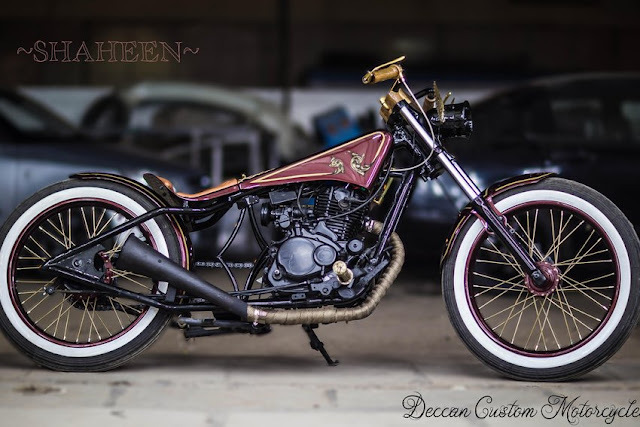 36 Moto Customs was started as Deccan Custom Motorcyclesin 2014. It is located in Hyderabad. 36 moto customs is headed by Mohit Chawda. Recently Mohit Chawda got the trophy for the all India biker build off champion at the India Bike Week 2017. Building Custom bike from scratch and give them soul is their ultimate moto. 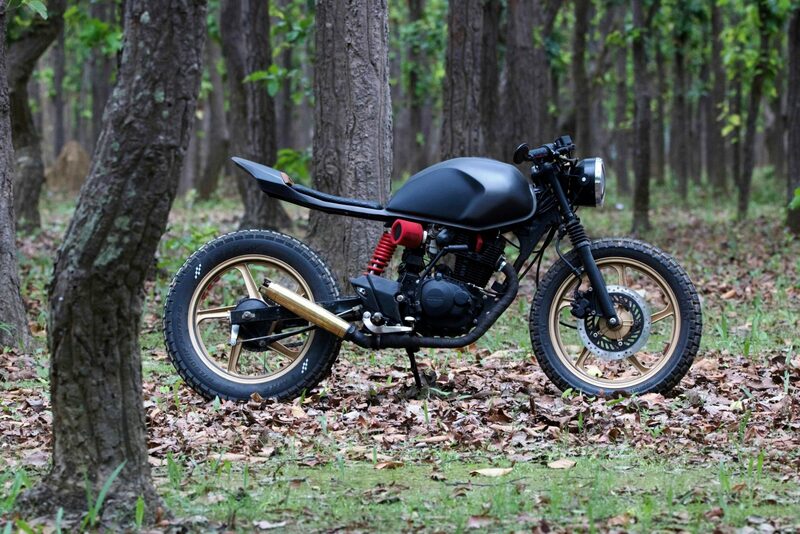 It is a simple clean bike which is blend of Cafe racer and Street Fighter. Stock bike used here is Hero Honda Karizma. 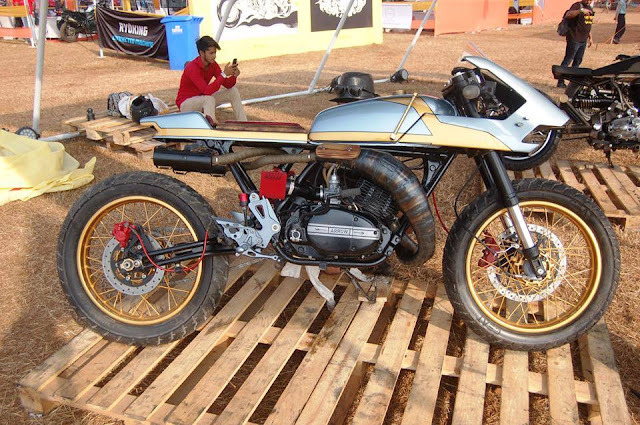 It took 3 months to build this bike. 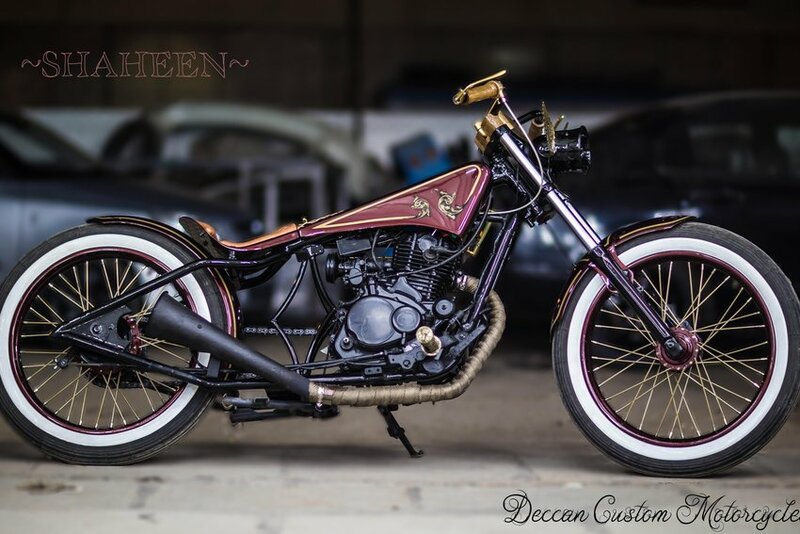 It is a old school bobber built from Royal Enfield 350cc. C Curve handlebar gives a classy look to it. Seats are customized retro style with brown color. Alloy wheels are used. It's inspiration come from Poet "Sir Allama Iqbal". The stock bike is Bajaj Avenger 180. 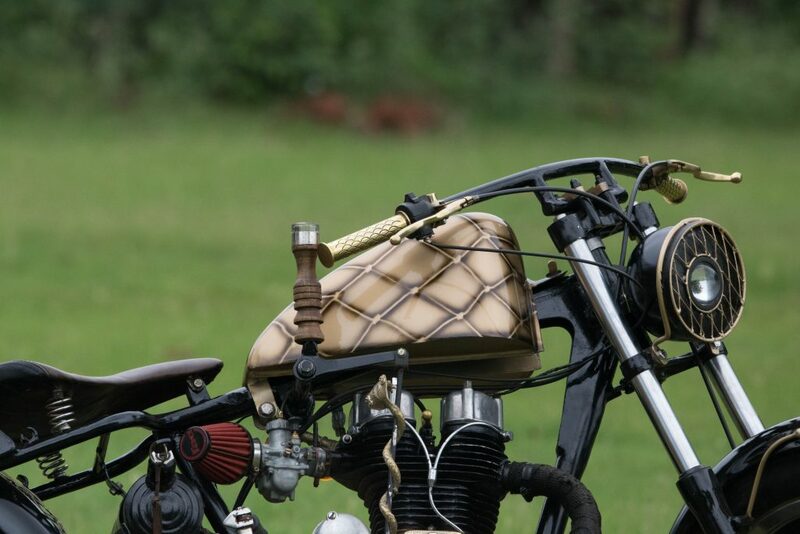 Its features are Police Siren is used for headlight, teak wood grip, brass foot rest, badri artwork on fuel cap. It is an award winning bike. They have showcased it in IBW 2017 and got bike build award.